there existed on this site 1920s erme cottages.and it belonged to the family of my grand ma, it was Tatt family home, where my great great grand parents lived. If my memory serves me well, the Gaumont was demolished in 1987. Saturday morning pictures was so much fun and bring back so many happy memories . 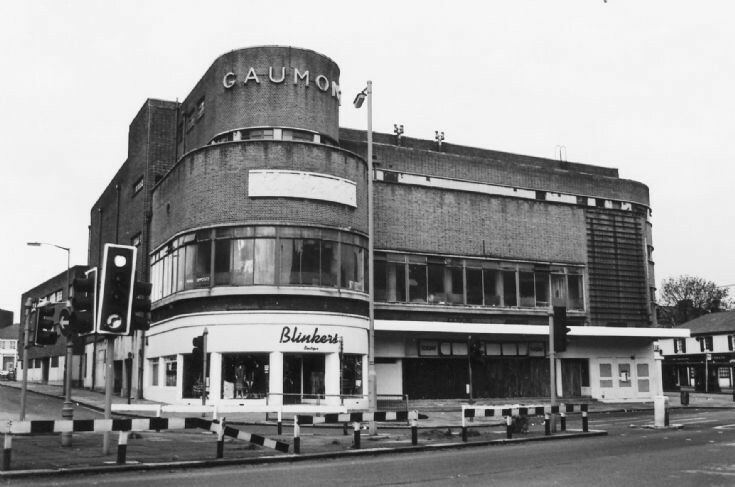 We always thought that the Gaumont was a very posh building to be in. Then have to stand for 10 years empty was terribly sad . I’m a researcher/archivist on a project about the Gaumont Finchley and keen to speak to people who would like to share their memories about the cinema. Is anyone based in London that would like to meet for an informal interview? We are organising this in Finchley at 2pm on Thur July 10th but there will also be later opportunities. Hello, I used to go to the Gaumont every Sat/morn. That's where I learnt to smoke. We used to have the old man with a torch always on the go, for the little devils who where making a noise and laughing. "Any more of that and I,ll get the manager." However, what a great cinema. I went to the Saturday morning pictures in about 1946 to 1949. It was a good time with friends and cheap - I think 9p. Can anyone confirm the price? Hi Guys. I used to go to the Saturday morning pics with the other Bramber Road boys. It cost 6d plus spends at the corner sweet shop. Used to take the 521/621 to Tally Ho! There must have been a cafe or similar on the first floor as I remember as a small child in the 50’s being taken for tea by my mother and sitting in the curved glass area, fascinated by the conglomeration of trolley bus wires strung across the road.